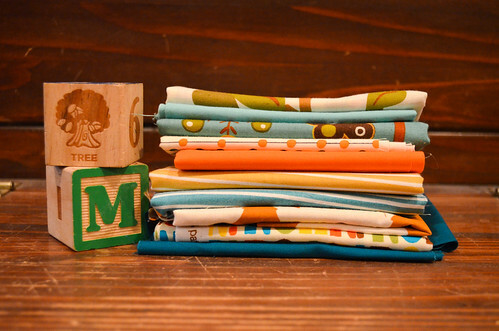 I have a nephew coming early July and am planning a baby quilt for him with the following fabric. They live in the mountains and are decorating with woodland animals. I just loved the “Mind your Ps and Qs” fabric, and it matched perfectly with some fabric I already had from “Camp Modern.” I also discovered how a couple colors of a pattern from the new “Glimmer” line was very woodsie and complementary as well.